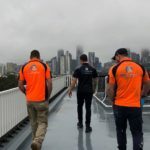 Vert Industries have been working along-side a number of Facilities Management, Owners Corp, Strata and Fire Engineering companies to ensure combustible cladding issues are rectified. We provide a vast range of re-cladding options, ensuring project delivery is managed closely by our in-house project management team. Re-cladding works of recent times have been due to the replacement of combustible materials (such as composite panelling). Combustible cladding has been a real talking point in the industry of recent times, in the wake of the tragedies that have unfolded in the UK and Australia. 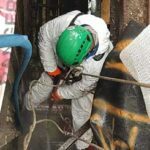 A range of materials are currently available in today’s market, ensuring the combustibility rating is at the forefront when any cladding materials are considered. Contact Vert Industries for further information, or to arrange a project estimate.